What do we see when we look at early modern plays in contemporary theatre? Well, this is a very UK-based, and probably London-based answer, but we generally see a lot of white, able-bodied cis men in plays about white, able-bodied cis men; we generally see the same 10-15 plays of the 400 or so early modern plays that survive; and we are likely to see something that is expensive, both in the sense of the theatre’s working budget and in the sense of how much it will cost you to put your bottom on one of their chairs. We are likely to see this theatre in London or in Stratford-upon-but-not-really-upon-anywhere-else-and-massively-difficult-to-get-to-soz-Avon. This definition misses lots out, and plenty is changing in the UK theatre scene, but it’s still true oftener than it should be. Emma Frankland and I were honoured to be invited to the Shakespeare Institue’s 20th Britgrad conference, a wonderful event focused on the latest work by early-career academics. Emma and I are staging John Lyly’s Galatea in a production that wants to challenge the current repertory of early modern plays and challenge the way such plays get cast, and we shared some work-in-progress with BritGrad delegates. Early modern plays are full of cues for ‘diverse alarums’, and we hope to sound the alarm for early modern diversity. This post shares a few thoughts from that session. Galatea has been absent from the theatre repertory since at least the seventeenth century, and this is a bit of a shame. It gives us a queer love story, it has more women in it than men and features characters who regularly ask what it means to cross what we now think of as the gender binary. If you care about Shakespeare, you need to see this play, since it has a claim to being his favourite. Indeed, it seems to inadvertently invent what we now think of as the Shakespearean comedy and is a play that Shakespeare never recovers from. He’s thinking about Galatea at the start of his career when he writes The Two Gentlemen of Verona; he’s still thinking about Galatea at the end of his career when he writes The Tempest. 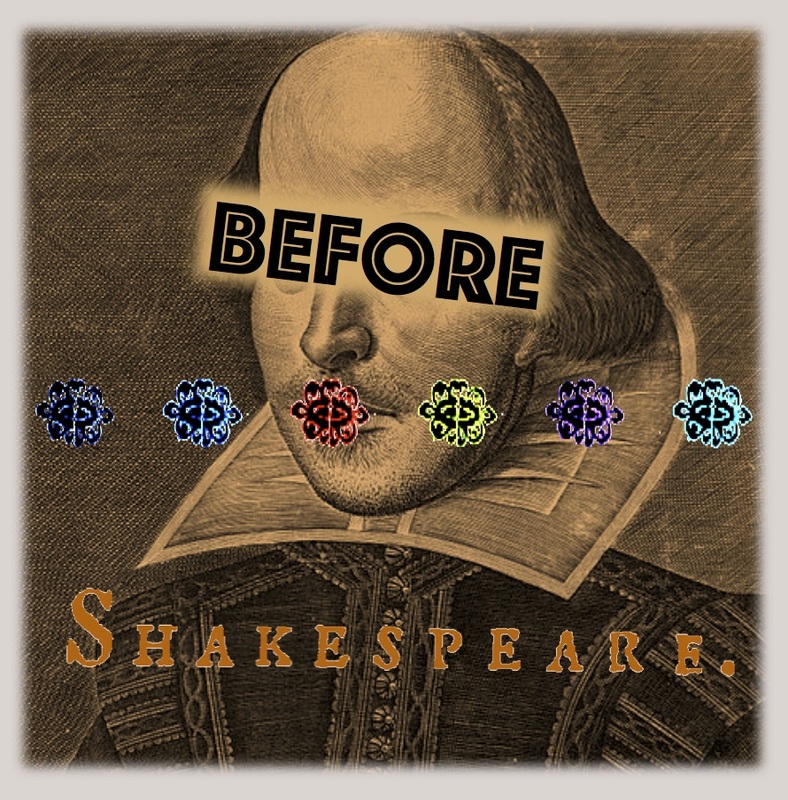 Galatea is deep inside Shakespeare’s comedic DNA. So to you Shakespeare fans out there, I recommend a dose of Lyly. But Lyly has a much wider claim on our interest than that. He was the best-selling literary figure for more than half a century, outselling Shakespeare, Jonson, Marlowe or anyone else we now associate with this period (and this despite having a much smaller range of work than many of those writers). The only literary figure who really outsells Lyly was God, who in this period was frantically reworking his best-selling novel, the Bible. But God is omnipotent, and that’s just cheating, so let’s exclude him from this tally for now. The man who published the Shakespeare First Folio, Edward Blount, tells us that it was Lyly, not Shakespeare, who seemed the greatest writer of his generation. Lyly’s work more widely needs to be staged: as I’ve said elsewhere, his play The Woman in the Moon has the largest female role in the early modern canon, and it is an affront to female classical performers that they have been unable to play this extraordinary part. It is the female Hamlet, every bit as complicated, performative and fascinating. And Lyly more generally writes plays with a fascinating cast profile, in which women regularly outnumber, outsmart and outperform men. We need to be much, much more suspicious of Shakespeare’s place in contemporary theatre. It’s no accident that this playwright and his bizarre only-a-couple-of-women-per-play-thanks-very-much policy are at the heart of classical theatre. As scholars such as Michael Dobson and Gary Taylor have shown us, masculinity and nationalism were crucial motivating factors in the rise of Shakespeare as the arbiter of literary greatness in the eighteenth and nineteenth centuries. Nor is it anachronistic to ask better of early modern plays. Shakespeare’s lack of women is often ascribed to a lack of boy performers, but that’s just daft: there was no limit on performing boys in early modern England. Other writers, such as Webster or Fletcher, give us very different casting options, and in A Chaste Maid in Cheapside Middleton fills the stage with an entire community of women. As I never tire of saying, the first three surviving plays to be performed in the London playhouses were all named after their female protagonists, and it’s even possible to read Shakespeare’s early work, and its comparatively few women, as a reaction against this culture. So why does Shakespeare never name a play after its female characters alone, with the vague exception of The Merry Wives of Windsor? Why does he keep offering us insistent representations not only of men, but of a very limited and massively grumpy kind of man? (Hamlet, Lear, Macbeth, Othello, but also Caesar, Benedict, Romeo, Orsino, Prospero: Shakespeare had a grumpy man problem and a grumpy man fixation. When Shakespeare wrote As You Like It, he adapted Thomas Lodge’s Rosalind, which has no grumpy men, and added the grumpy Jaques to make up for it, doing this at the same time as removing Rosalind herself from his play’s title. In The Merchant of Venice, the play starts with Antonio saying ‘In troth, I know not why I am so sad’. Let me help you out, mate: you are sad because you are a man in a Shakespeare play.) Lyly offers us one way to challenge the grumpy man aesthetic at the heart of the modern classical repertory and so, to theatre fans more generally, especially anyone invested in seeing more female, queer and trans people onstage, I recommend a bunch of Lylies. So it is not anachronistic to ask for more from early modern plays (but more on anachronism later). The very first reference to Shakespeare in public identifies him by quoting one of his most misogynistic lines (‘tiger’s heart wrapped in a woman’s hide’), suggesting that as a writer he was associated with misogyny itself. This is hardly surprising, given his early work: Titus Andronicus, Taming of the Shrew and the Henry VI plays are fiercely angry or (at the very least) anxious about women who dare to show themselves in public, and even Comedy of Errors expends quite a bit of time insisting that women should confine themselves to the domestic arena. Antipholous of Ephesus, an enthusiastic practitioner of onstage domestic violence, spends much of the play trying to acquire a rope so that he can beat his wife into submission, and later tells her that he will pluck out her eyes because she dares to look at him on the street. In this sense, Shakespeare was ahead of his time in all the wrong ways, anticipating the idea that women belong in the home that characterised much eighteenth-century thought (and this is another reason that he became so popular in this century, of course). John Fletcher’s responses to Shakespeare plays, such as The Tamer Tamed and The Sea Voyage, challenge the gender assumptions central to Shakespeare’s work. This is the problem with the common idea that Shakespeare is a universal genius whose brief moments of aberration are simply him showing the prejudices of his time. On the contrary, Shakespeare’s misogyny is evident now and was evident then. It’s time to challenge the uniquely privileged place he occupies in the modern theatre and literary canon. It was enormously exciting to be invited to BritGrad and share our work with its early-career delegates. As I tried to emphasise at the event, invitations of this kind are forms of patronage, of enabling, supporting and broadcasting the work being done by our colleagues. It’s always tempting when running a conference to invite the greatest names in our field, but it’s far more transformative to offer a plenary session to less established scholars. This is a much more effective way of introducing new ideas and new voice to a discussion, and it’s been wonderful seeing BritGrad do this over the last few years. It was especially exciting to be asked to run a practice-as-research plenary sharing performance work-in-progress: a big thank you to BritGrad for making this happen. The event also enabled us to think out loud about the way that academics and performers might collaborate in future. At the moment, this generally happens within a one-direction, deeply hierarchical structure in which one kind of professional performs as expert to the other: an academic advising on a production, for example, or witnessing and documenting their work. Both modes have their uses, but they presuppose learning and discovery on the part of only one group of people. Our aim in our work is to always learn and discover together, with no one posing as expert in the process. In our research-and-development phases, we’ve invited scholars and practitioners into our rehearsal rooms to watch, document or participate in our work. We hope this means that many different professionals will benefit from our collaboration, and that we will benefit from their participation. At our workshop at the Jerwood Studio, for example, this meant that Lyly’s editor Leah Scragg ended up in conversation about gesture, sign language and semiotics with three BSL-using performers, Nadia Nadarajah, Jamal Ajala and Hermi Behrane. Our working practices set up opportunities for engagement between scholars and performers that might not otherwise be anticipated, and crucially we’ve tried to make sure that the opportunities for collaboration are not just confined to myself, Emma and our company. Scholarly engagement with performance practice and practice-as-research, at least in early modern studies, also tends to be backwards-looking with respect to time: we engage with performance practice in order to think about the past. That’s fine as one of our options, but it’s shouldn’t be the only way for scholars to learn from, think about or contribute to performance. In the opening to this blog post, I called attention to the elite, entitled, exclusive and expensive nature of most early modern theatre happening now. That’s bad for the representation of diverse communities and it’s harmful to the career of many performers (not least, women), but it’s also potentially stultifying on early modern research. If we only get to see a small range of early modern plays performed in a small range of styles, that must surely impact on the research questions, the primary material and the intellectual breadth available to us as scholars (see here for a discussion of a lack of diversity in scholarship, and here for a discussion of ways to diversity the profession). Engaging with performance and creativity now is one way of breaking out of the vicious circle that sees the same plays being performed and discussed in the same familiar ways. Elements of the work of both companies have been similar in their adherence to aspects of Renaissance theatre practice – the use of “all-male” casts, the permanent or semi-permanent companies, a simplicity of staging and sparse use of set, the use of live music and sound effects, the centrality of an active actor-audience interaction, and a strong emphasis on the text, which acknowledges its centrality as a tool for the actor given the absence of a director in the Renaissance theatre. That last aspect of ‘Renaissance theatre practice’ looks distinctly unRenaissance to me: ‘a strong emphasis on the text’. On the contrary, early modern productions envisaged text as plural, plastic and negotiable. That’s why we have multiple versions of some plays, and it’s why, when we only have one version of a play, we still need to treat it as a version: the contingent snapshot of a play that was always unfixed. Henslowe’s Diary shows us that texts were constantly in progress, but so too does Shakespeare’s depiction of theatrical performers: where is the text and who is the author in ‘Pyramus and Thisbe’ or ‘The Mousetrap’, for example? As Bottom and Hamlet are both aware, text may well be ‘a tool for the actor’, but it is also something that can be retooled, repurposed, challenged and abandoned. Plays are not texts. It’s particularly surprising to see ‘the text’ put forward as an early modern idea given how recent such a concept is. As recently as the early twentieth century, it was still entirely normal to rewrite and repurpose play scripts. ‘There are things in this comedy […] that will never please’, says Bottom. We could all be a bit more Bottom in the theatre. Above all, the last century or so of scholarship around early modern performance has been defined by the discourse of authentic or original performance, and I’m hopeful of discovering ways to step beyond these issues as we stage Galatea. Some of what we do in our production will be historically informed; some of it won’t. That’s fine. As we’ve been exploring in our series on theatrical words, anachronism informs our scholarship already, and when we complain about inauthenticity, we’re usually thinking of traditions that date back to nineteenth-century inventions of the early modern. Are we modernising something? Are we early-modernising it? Galatea is an early modern play that luckily enough still exists now, and what’s exciting is that we can do both.